Shortly after I reviewed the Amazon Escape palette I headed back to Roses Beauty Store and decided to place an order for the Thoughtful Treasures best-sellers set. 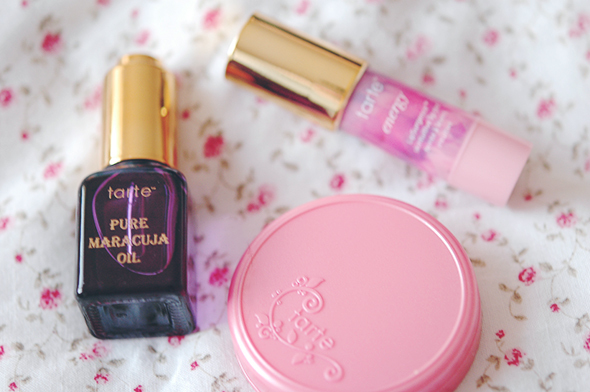 It consists of 3 miniature products - a sample of the Pure Maracuja Oil, a limited edition blusher in Thankful and a Lipsurgence Skintuitive lip tint in Energy. Before ordering this I hadn't heard all that much on the Maracuja Oil, but after doing some research it appears to be a holy grail product for many. Now, I've only used this a few times since receiving it but it's definitely living up to the claims. You only need a few drops for your entire face and it leaves the skin incredibly smooth and hydrated. I'll definitely be treating myself to the full-sized bottle in Florida next year. Thankful is a beautiful golden pink with a satin finish, exclusive to the Thoughtful Treasures set. 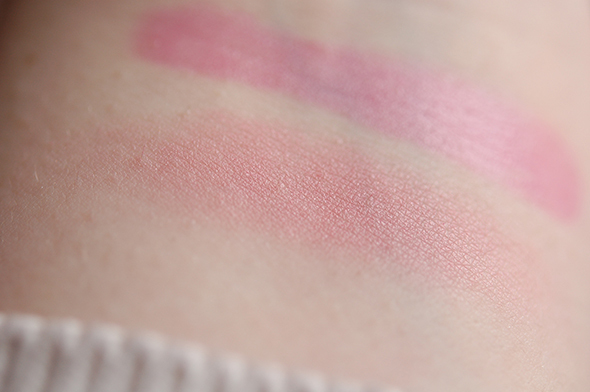 I really love this blusher - it delivers in terms of pigmentation, longevity and texture. I don't find myself having to top it up during the day which is a big bonus. Energy is a self-adjusting lip tint that applies as a baby pink and over time changes to a personalised shade to match your skin tone. On me it adjusts to a bright fuchsia-pink which doesn't look heavy or over the top, unlike a lipstick, and is great for everyday wear. It has a sweet minty scent that is far more bearable than the Revlon balm stains, and lasts a good while. I don't find it drying, rather it glides on without any tugging or pulling at the lips. The Thoughtful Treasures set over here is a bit expensive compared to the US price, but I do think it's worth it. I know all three products will last me a while! 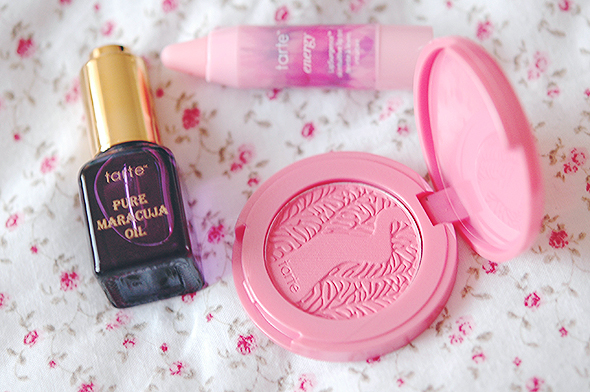 Love the packaging of this make-up, some gorgeous colours here! You always take such beautiful pictures! I definitely need to try the Maracuja Oil, I've heard the best things about it. Sorry left a weird link haha. I commented saying I love these products and that the blushers are always so pretty, this shade looks beautiful!